The updates with Microsoft Dynamics 365/CRM V9 are customer-driven, what with Microsoft’s thriving community that suggests and requests updates, among other important feedback. When you upgrade to Microsoft Dynamics 365/CRM, your system will change – there’s no doubt about that. To find out what changes will occur, you will be best prepared for your CRM evolution by running an Upgrade Diagnostic, which will identify glitches that could occur with your upgrade. 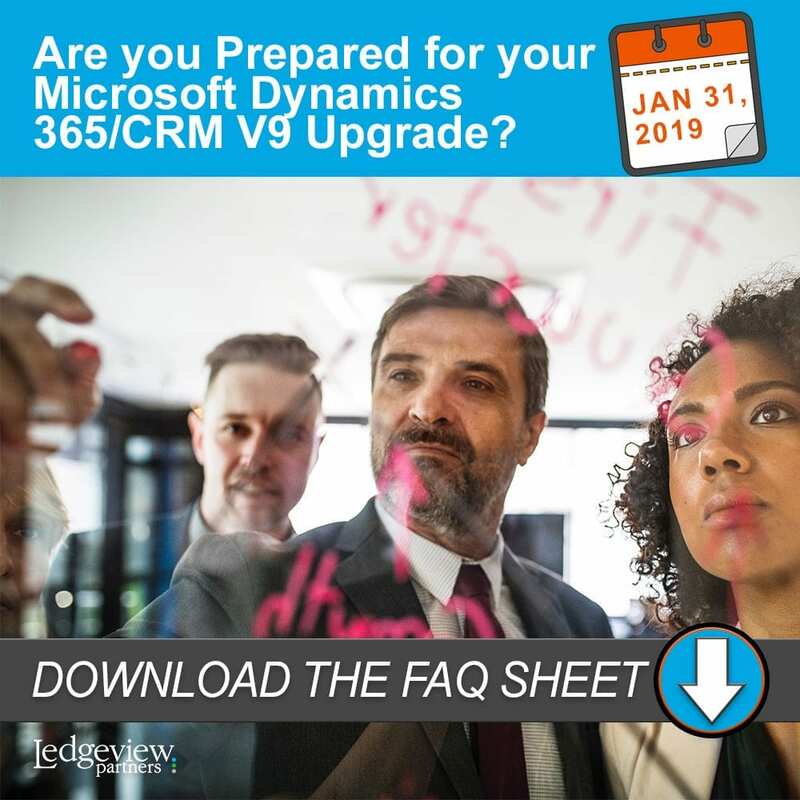 Though the benefits of using Microsoft Dynamics 365/CRM may be clear to you, we understand that the benefits of upgrading to V9 may be a little hazy, which is why our experts are providing you this FAQ Sheet to address all of your concerns. *All Microsoft Dynamics 365/CRM online users must upgrade prior to the Jan. 31, 2019 deadline. It’s a great time for on-premise users to make the switch to the cloud and upgrade this year as well, and we at Ledgeview recommend making the transition.